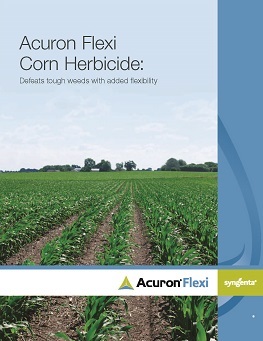 Acuron® Flexi combines three active ingredients, including bicyclopyrone, and two effective modes of action (Groups 15 and 27) in one convenient premix for a multi-targeted approach to weed control. 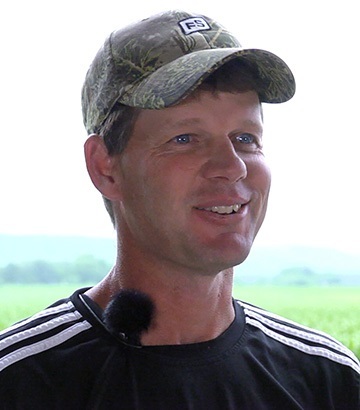 Delivers improved and more consistent control of broadleaf weeds and annual grasses in corn versus competitive herbicides. Controls tough weeds like giant ragweed, kochia, marestail, Palmer amaranth and waterhemp. 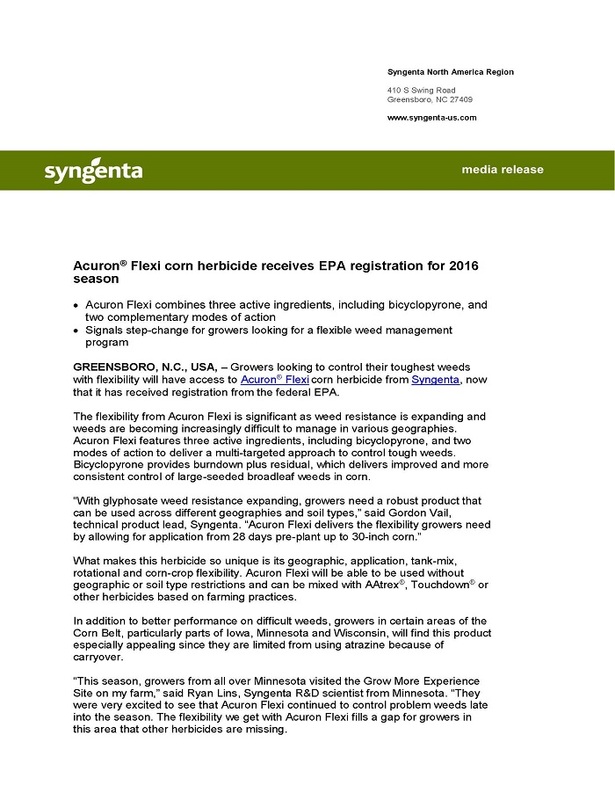 Registered in field corn, seed corn, silage corn, sweet corn (pre-emergence only) and yellow popcorn (pre-emergence only). 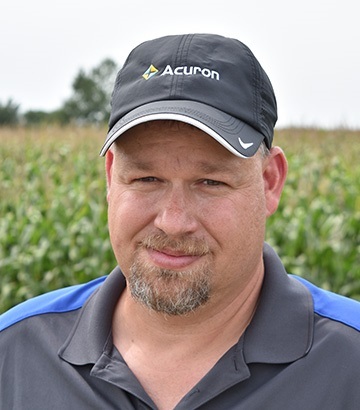 "The most beneficial feature of Acuron Flexi corn herbicide is having multiple modes of action already in the premix and also having the ability to add atrazine where we can. Our customers that have used Acuron Flexi have seen very good performance. 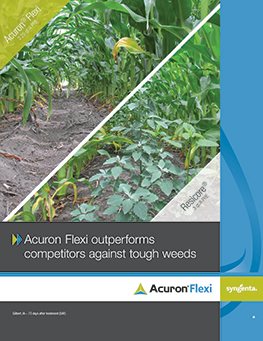 We had tough growing conditions this year with too much rain and heat and Acuron Flexi was up to their expectations." 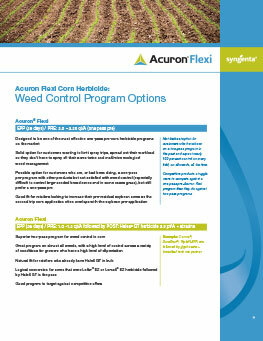 "We switched to Acuron Flexi after having a good bit of weed outbreaks and have seen really good results." broadleaf weeds and grasses in corn. 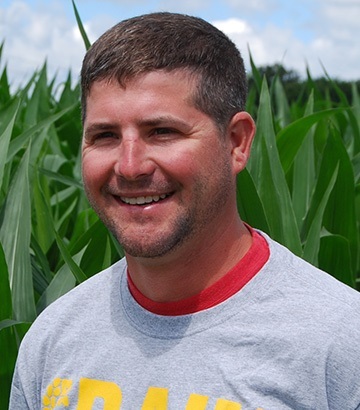 Acuron Flexi 2.25 qt/A applied pre- emergence in Tony Bomkamp’s field. Photo taken 62 days after treatment. University of Minnesota trial. All treatments applied pre-emergence. Photos taken 56 days after treatment.